A good guitar amp makes playing much more enjoyable. However, unless you are touring or playing larger venues, you probably don’t need a giant rig with loads of raw power. There are all kinds of guitar amps out there, and many have their own claims to fame. But, if you don’t want to pay an arm and a leg for an amplifier, you will be better served with a smaller amp. Smaller doesn’t mean worse or of less quality. In fact, many new amplifiers are making use of modern technology to a pack larger punch into a more compact space. So, Who’s The Winner Of The Best Guitar Amplifier Under $200? The Marshall Code 25 has taken the Marshal sound and put it together with the most modern digital technology. 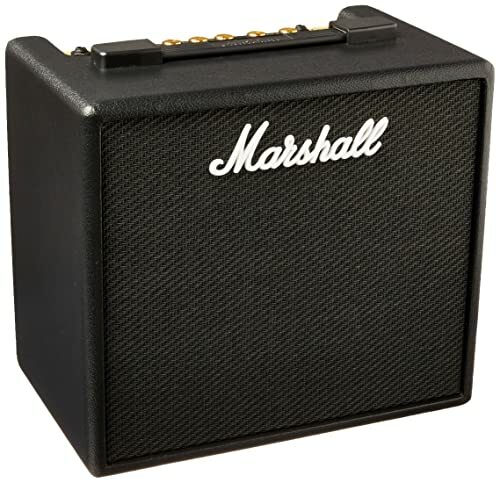 The result is a highly impressive and very versatile amplifier that stays true to the tone Marshall is known for. This fully digital amp has all kinds of settings and features that allow you to recreate almost any sound you can think of. This amp features 14 different preamps, four power amps, and eight speaker cabinet simulations that allow you to really fine-tune a specific sound and tone. The preamp sounds include simulations of such classic Marshall’s as the DSL, JCM800, JTM45, and the Silver Jubilee. You can set it to sparkling cleans, vintage twangs, modern metal gain, and crunchy blues. In addition, the Code 25 features twenty-four different effects to choose from. Everything from reverb to fuzz is easily accessible. But, where the future opens up with this amp is the ability to connect it with a USB cable or Bluetooth to your computer or mobile device. This amp comes with its own software that lets you create your own presets to hone your own individual sound. You can then store all of your own settings and use your mobile device to change the presets right at your fingertips. The ability to interface this amp with your computer means that you can actually live stream what’s coming out of it as you are playing. This feature also adds convenience when you are recording. Marshall has long been a leader in guitar amplification, and now they are leading the way into the future of digital music production. Full of sound and tone simulations. Can recreate a variety of preamps, amps, and cabinet rigs. Can be used for practicing, recording, and playing live. 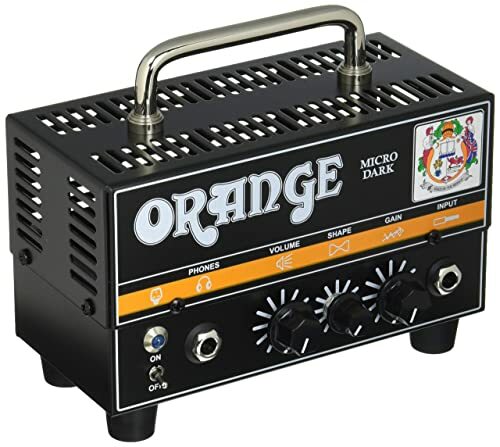 Meet a true hybrid amp that combines two of the most popular Orange amplifiers. It’s Micro due to it being a very small-sized amp, and it’s Dark, because of the high-gain output potential. The Micro Dark boasts 20 watts of power in a sleek and compact size. It features an actual preamp tube that gives you a genuine-sounding tube overdrive. This tube preamp is then paired with a solid-state power section. Essentially, the digital solid-state is jacking up the tube preamp. The result is that it produces a powerful tube-sounding signal from something the size of a breadbox. This hybrid amp has just three control knobs – volume, shape, and gain. The shape is pretty much a tone knob. It adjusts mid-range, bass, and treble responsiveness. Easily ‘shape’-ing your tone to either bright or dark. Twist that gain knob, and this little pup turns from a Mogwai into a gremlin. A ferocious sound, in an itty-bitty box. Another advanced feature of the Micro Dark is the FX Loop. With it, you can rest assured that any pedal you hook up will sound just like it should. The small size and carrying handle mean you will have no trouble getting this around. Plug into any speaker cabinet for your gig, or jack it in at the studio. The Micro Dark has you covered wherever you may roam. Hybrid with a tube preamp. Amplifier head only – it has no speaker, so you would need to buy one separately. As a leader in all things related to guitars, Fender continues to deliver. 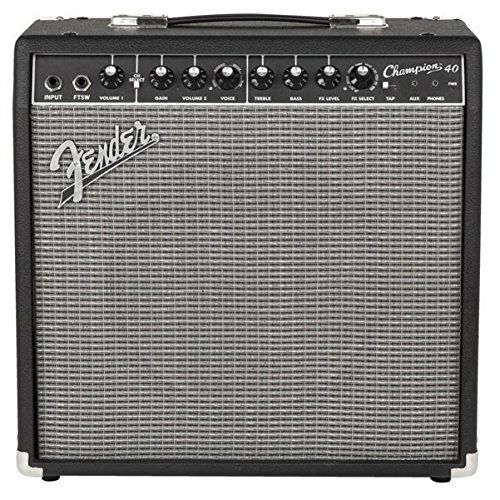 The Fender Champion offers a whole lot of power and signature Fender tones either clean or overdriven. This amp is easy to use and comes with a wide variety of digital FX presets that includes reverb and delay. The Champion has one 12-inch speaker and 40W of pure Fender power. An ideal practice amp or an affordable gig amp, the controls are easy to use, and there are additional amp voice settings to dial in the sound you want. There are vintage British amp voicings along with more modern simulations. It’s a two-channel, single-input amplifier with channel selection via the included footswitch. The two channels are clean and overdrive. The gain and overall overdrive sound stay true to the sound that Fender has established for itself. Along with plenty of power and versatility of sounds, the Champion has a headphone input jack and an Auxiliary input. The AUX input means you can plug in any MP3 player, smartphone or portable music device, and you’ll be jamming along with your favorite tracks in no time. The open-back cabinet provides you with extra space for storing cables and other accessories. 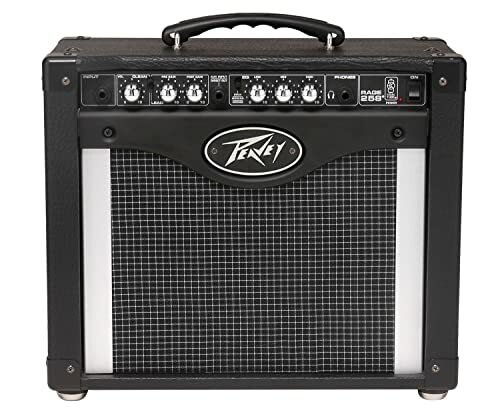 A great amp for beginners, practice jam sessions, or small-sized gigs. Great for any musical style or genre. Effects and preamp voicing do not use an LED display. The V5 from Bugera is a retro-looking little tube amp that won’t disappoint. 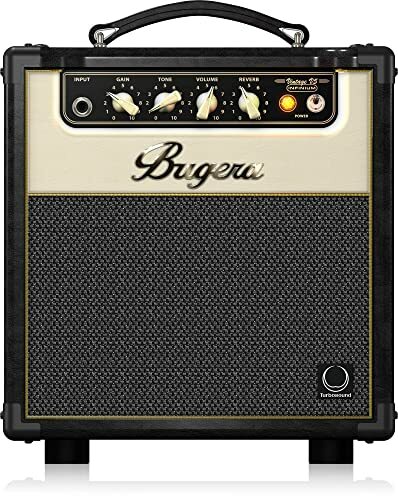 Powered by a single EL84 tube, the Bugera is a true tube amp but with less power than its larger siblings. The speaker is an 8-inch TURBO SOUND speaker made in Britain. This amp includes independent gain control which can give you a nice, bluesy overdriven sound that is dark and lively with just a little bit of the gain engaged. With the gain control in full-throttle, this little amp can deliver the distinct crunchiness of a tube amp. The tone on the clean setting is crisp and defined. It also comes equipped with a nice digital reverb that has plenty of depth. You can also easily add other effects pedals without the sound or tone decaying. 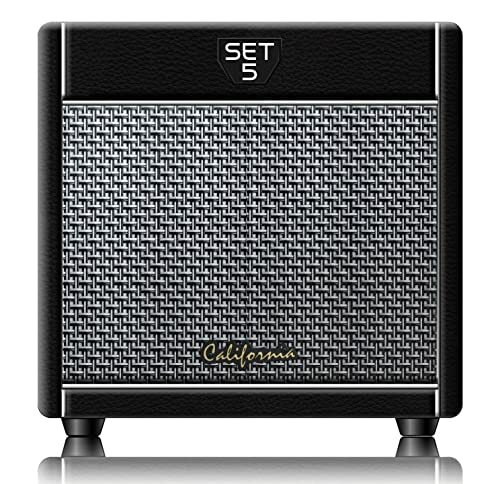 At 5W this is ideal as a practice amp or for those just starting out. It includes a headphones output jack for when you want to practice in peace. Made with quality parts and components, the Bugera V5 will give you plenty of bang for your buck. Crunchy tube amp overdrive sounds. Only 5 watts of power. Single-channel so you can’t easily switch between clean and overdrive settings. A stout little amp that can go anywhere and has enough punch to make you squeal. The HOG-20 features its own internal battery power supply that gives you 6 to 10 hours of playing time before you need to recharge. And cleverly, whenever you plug in the AC power supply to a wall socket, the batteries are recharged. You can easily set up on a street corner and start jamming away without worrying about how long of an extension cord you’ll need. It won’t go hog wild! A funky little porker that has 20W of power pumped through a 6.5-inch speaker. It also features a “squeal” overdrive control knob, along with a volume and tone control knob. The clean sound is clear and pleasant. The overdriven sound squeals but doesn’t go hog wild. There is also a headphone input and two instrument input jacks. Bring a friend when you are out entertaining at a crowded street-fest or flea market. With a reddish-brown vinyl covering and round, pig nose speaker frame, the HOG-20 looks straight out of the 1970s. The construction is solid and sturdy making it easy to transport. A great amp for practicing or for upping your street performer game. The Pignose HOG-20 will leave you grinning like a pig in… – well you know what? Battery powered for up to 10 hours. Easy to recharge the batteries. Good clean tone and sound. Overdrive is a little weak. Cannot recharge fully unless turned off. Might not have enough power when busking on a loud and busy street. A powerful amp that has fantastic tone and a thick low-end. The Peavy Rage has a preamp and power amp that work together to handle any amount of drive. From crystal clear to a gritty tube-amp sound, there is a wide range of dynamic possibilities found in this amp. The preamp will adjust the gain while the power amp acts like a tube output adding compression as you up the volume. The Rage 258 features a clean channel and a lead channel. The lead channel has all kinds of overdrive potential. The gain on both the preamp and power amp can be set to your liking. A warm, bluesy overdrive that sounds like a tube amp, or a fuzzy wash of pure distortion. The clean channel offers you three different EQ voicing options; modern, vintage and stock. Each setting has a distinctive tone that you can fine-tune to your preferences with the low, mid, and high EQ control knobs. It’s a great practice or studio amplifier that doesn’t take up much space. The Rage 258 doesn’t come with any extra effects settings; it is simply powerful with excellent tone and overdrive. Produces a tube amp sound. Lots of low-end power and shape. Two channels for clean and lead. A variety of overdriven sounds and strengths. No footswitch for the two channels. 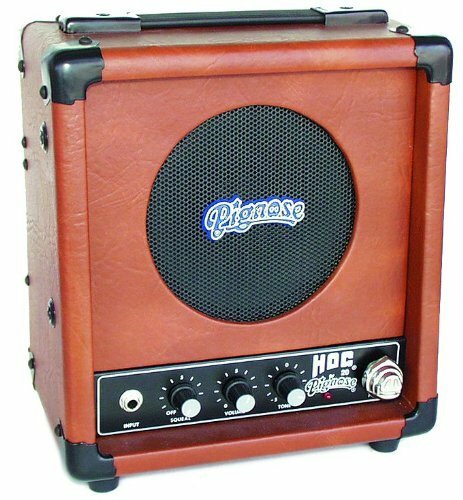 A pure tube amp that is easy to move around and made for blues, jazz, and surf rock. California Tone Research has combined a 12AX7 preamp tube and EL84 power tube into one compact amp with excellent tone and clarity. Start pushing the volume level higher and the crackle and grit of a tube amp are on full display. The speaker is a custom 8-inch speaker designed for highlighting the sounds of a single-coil pickup. The SET5 is super easy to use with only three control knobs for volume, treble, and bass. There is no need to fidget around with all kinds of buttons and switches. You just plug in and start rocking. Even at just 5W, this amplifier can get quite loud. Turn all the setting to full, and you will notice how responsive your guitar will be. A great amp for in your home or practice space. Pure Class A tube amp. Simple controls and easy to plug in and play. Great when used with single-coil guitars. Excellent tone and lots of grittiness. Best for jazz, blues, and surf rock styles. Gain cannot be independently adjusted. Not made for playing regular gigs. Not great when used with humbucker pickups. The Line 6 Spider’s multitude of effect models will have you weaving a plethora of sounds. With three times as many presets as those found in other amps in the same class, this amp can do it all. There are more than 200 different amp, cabinet, and FX that allow you to play any kind of musical genre and dial-in the perfect tone. The amp features 128 custom presets that have been professionally designed, based on classic songs, Artist profiles, and Line 6 original configurations. You will be forgiven for thinking these models are the real deal. On top of the 200 effect models, there is a built-in tuner, metronome, and even drum loops. There is also a headphone input with dedicated volume control so you can keep the amp mellow and still have a full sound in your ears. It also features a full-range speaker system. It means you can use this amp for electric and acoustic guitars, or you can use it as your home sound system for listening to music or watching movies. A truly diverse amp that is tailored to meet any sonic amplification need. Over 200 amp, cabinet, and FX models to choose from. Powerful, clear sound and tone. 128 custom presets based on songs and artists. Built-in tuner, metronome, and drum loops. The large number of presets can be daunting. Need time to learn how to make the best use of all the options included. 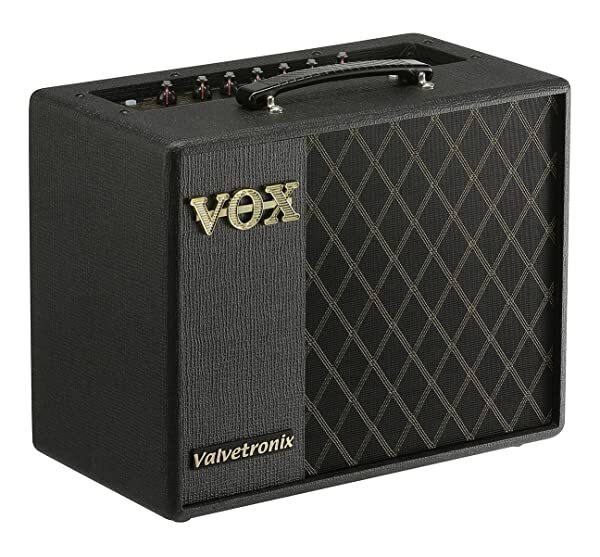 Vox has produced a powerful little amp that has tons of FX and sound options. 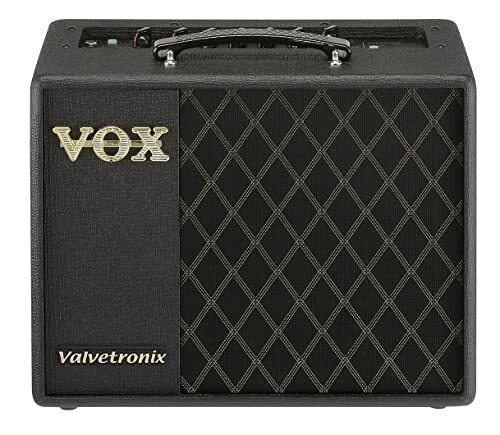 The Valvetronix features a vacuum tube preamp combined with Virtual Element Technology (VET). The design behind this preamp uses analog circuitry to capture the subtle tone of a tube amp while delivering resonance and clear, warm tones. The VET uses the original components and circuits found in different amps ensures the sound quality is clear, stellar, and authentic. The dedicated controls are gain, treble, middle, bass, volume, and power level. After you settle on an amp model, you can use the control knobs to further define your sound. There are 11 amp models to choose from, 13 high-quality built-in effects, and 33 presets programs. It means you can combine two or more different effects and save them is effects banks or “pedals.” You can attach a footswitch that lets you cycle through your FX banks with ease. With VOX Tone Room Editing Software you can really fine-tune an effect or create your own unique FX calibrations. There is also a built-in tuner, headphone input jack, AUX input, UBS port, and Bluetooth connectivity. A great amp that is very lightweight, but a real heavy-hitter when it comes to power and sound. Tone Room Software to further refine your effects banks. Great for at home or playing on stage. Volume level on presets varies greatly. No digital audio workstation interface. A true mini guitar amp that is also battery powered. 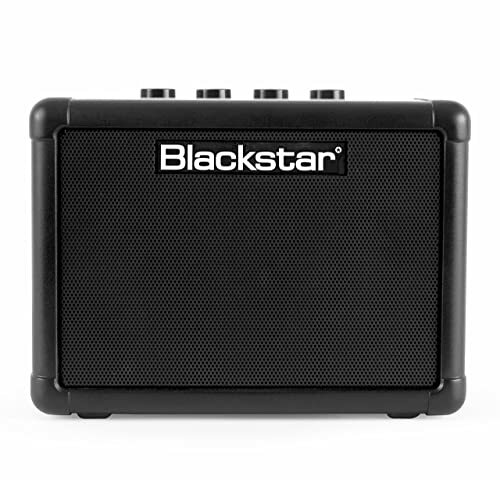 The Blackstar offers you the latest in compact sound technology. This a not only a guitar amp, but it is also a portable speaker. By using rechargeable batteries, you can plug in a DC adaptor when you aren’t using it. The diminutive stature of this amp hides a big tone. It features patented Infinite Shape Feature (ISF) that keeps the tone clear and the signal full even at low volume levels. It features an innovative and excellent digital “tape” delay effect that boosts resonance and adds more dimensions to your guitar’s sound. An independent gain control knob provides you with warm and bitey overdriven sounds. The Line IN/MP3 jack gives you the option to use the Blackstar as a speaker that connects to your desktop, laptop, or mobile device so you can play along with your favorite jams. It also features a headphone jack for when you need to practice in silence. Don’t let the size of this amp fool you; the Blackstar FLY3 is more than ready to show you its stuff. Small, easily portable guitar and speaker. Patented ISF technology for clear and powerful tones. Not suitable for live performances. Now that we have had a chance to learn about the best guitar amps under $200, a few more things need to be said. New amplifiers that use digital power and effects are going to be cheaper than vintage-style tube amps. The price of digital components continues to go down, and unfortunately for those that love them, the price of tubes is steadily increasing. Don’t assume that smaller amps that cost less because they are digital, are inferior. Lots of improvements have been made in the technological simulations of classic and vintage amplifiers sounds. Purists might scoff at anything digital, but for the price, these digital amps are gaining more prominence as practical and affordable options for playing at home and recording. Also, the smaller amps are easier to move around, making them convenient as well as inexpensive. This micro amp is just a technological wonder. A pure tube amp in a little package that is full of power and sound potential. We really like the simplicity of using this amp. There aren’t a ton of FX presets or voicing simulations, just three knobs that offer reliable sound control and shaping. 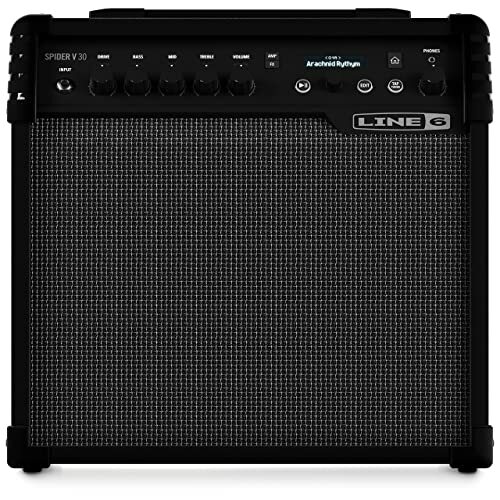 Simply a tough, easy to transport amp that has awesome tone, sound, and power. This is an all-around good amplifier. It has plenty of power and a great overall sound. It has basic FX presets making it easy to shape your sound without getting lost in an over-abundance of effects setting options and configurations. Made with the kind of quality construction you’d expect from Fender, but still small enough to transport without breaking your back. We hope you found this information helpful, and are ready to pick the right amp for you. Have fun with your new guitar amplifier, an take comfort in the fact your guitar will sound great, and your wallet won’t get emptied.